Originally founded in Cornwall by Walter Hicks in 1851, St Austell Brewery is still 100 per-cent family owned and renowned for brewing some of the South-West’s most popular beers. In addition to brewing their own beers from a brewery overlooking the bay of St Austell, their Small Batch Brewery builds on the success of a previous micro-brewery, allowing St Austell’s team of brewers to constantly experiment with new flavours and styles. Black Square Russian Imperial Stout, for instance, is a collaborative effort between St Austell and New Riga’s Brewery in Moscow, Russia. A strong, dark beer evocative of that brewed in the 18th century by Thrale’s brewery, in London, for export to the court of Catherine II of Russia – this Black Square Imperial Stout is matured in oak barrels to bring the brew to its best condition. Tapped at last year’s Great British Beer Festival, the stout was originally conceived and brewed by St Austell Brewing Director Roger Ryman, alongside the team from New Riga’s, in 2016. After being released in keg, for the Russian market, the beer instantly became New Riga’s best-selling craft ale, remaining their best-seller to date. Moreover, Black Square has been re-brewed in St Austell’s Small Batch brewery, now available in bottles throughout the UK. On pour, Black Square is deep brown, almost black, crowned with a tan head. On the nose, prominent roasted malt and dark chocolate aromas are joined by fruity notes of cherry, plum and prunes – lending a vinous, red wine complexity. These are followed by slight hints of coffee and lactose. 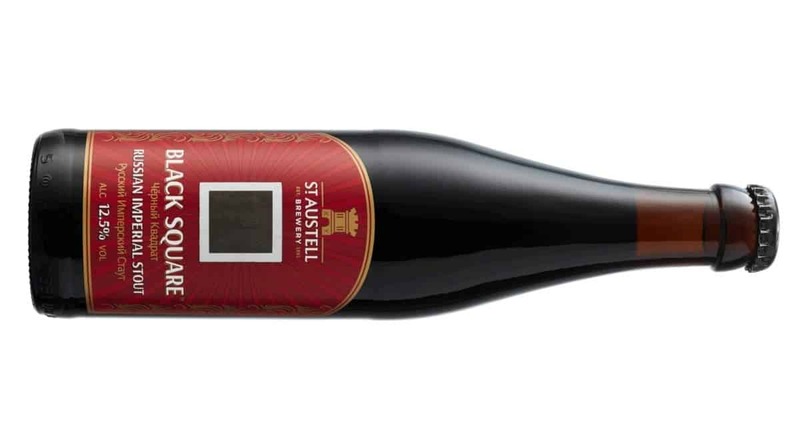 Rich fruit flavours of cherry and prune continue on the palate, complete with sweet flavours of toffee, vanilla and port. A full-bodied brew, Black Square is intensely rich, harbouring sweetness that’s rounded with a slightly bitter, lasting finish. For more information on Black Square Imperial Russian Stout can be found here.